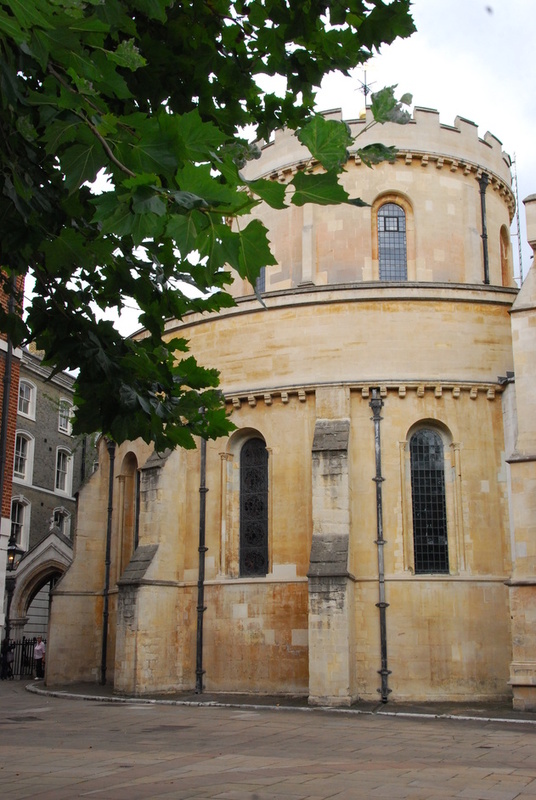 Temple Church sits within the Inner Temple of the Inns of Court, and was originally consecrated in 1185 as the spiritual and actual home of the Knights Templar. The church has a long and powerful history, and survives as one of London's oldest original churches despite it's association with the once powerful order of the Templars. The magnificent chancel of the church was built in the 13th century at the behest of Henry III, who buried his infant son here and originally intended to be laid to rest in the chancel himself. The Knights Templar originally built the entire Temple complex as a seat of power independent from the Crown, and the residences provided a focal point for the barons as they renegotiated the Crown's power through the Magna Carta of 1215. Despite this independent ethos, the Templars grew close to the Crown, although even closer to Rome, and eventually the order was to suffer from being identified with rebellious barons who banked their money at the Temple to avoid tithes, and with a primary loyalty to the Pope. Henry III himself fell out with the Templars over money and loyalty and the beginning of the Order's decline was marked by his decision to move his own grave back to Westminster Abbey. The order was finally disbanded by Henry VIII and many of the residencies destroyed during the Dissolution of the Monasteries. However, the beautiful church was preserved as an Anglican seat and has survived, occassionally propped up and restored, since then. Miraculously the Temple Church survived the heavy city-centred bombing of World War II with only a burnt roof and a few cracked pillars. Today the church is still a vibrant Anglican community with Sunday services, and the Master of the Temple is a coveted Anglican position, with holders giving regular talks to the public on theology. The church has always had a fantastic choir and the magnificent acousits attract musicians from far and wide, including Paul Tortelier who made his recording of the complete Bach Cello Suites there in 1983. This beautiful church boasts an ancient and exciting history, and the architecture speaks of the wealth and power invested in the church. There are magnificent tombs, a splendid nave, and a majestic choir, in what is also one of the oldest churches in London. A quiet and inspiring spot in the heart of the City. What are the best dining options near Temple Church London? Temple Church gyms, sporting activities, health & beauty and fitness. The best pubs near London Temple Church. Temple Church clubs, bars, cabaret nights, casinos and interesting nightlife. Where to have your meeting, conference, exhibition, private dining or training course near Temple Church. From cheap budget places to stay to luxury 5 star suites see our special offers for Temple Church hotels, including ME London from 0% off.